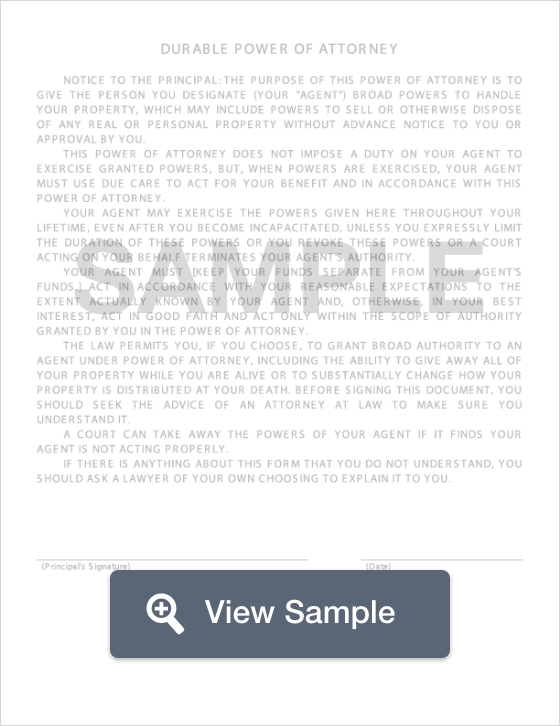 Create a Connecticut Power of Attorney with our attorney-drafted template! What is a Connecticut Power of Attorney? A judge that orders the grantor incapacitated as described in the power of attorney. Two independent physicians that rule the grantor incapacitated within the contingency clause described in the power of attorney. Why Would You Use a Connecticut Power of Attorney Form? There are many reasons why an individual would use a Connecticut power of attorney. Sometimes a person who is elderly, mentally ill, or of failing health may need someone to handle their affairs. Elderly individuals who may suffer from Alzheimer’s or dementia and may no longer be able to handle affairs such as paying bills, or buying or selling property. A parental power of attorney is popular among parents who must leave the U.S for extended periods of time without an exact date when they will return. This type of power of attorney allows an individual you trust to make important decisions on your behalf in relation to your children. Some parents express concern that a parental power of attorney will strip them of their parental rights, however, these types of documents can be set in motion with "triggers" which set the authority in effect if something specific happens. However, it is best to seek qualified legal advice to make the best decision for you and your children. A limited power of attorney has limited power to whatever the grantor specifies. In many cases, an agent will have power to handle finances, or make medical decisions, but will not have authority to do other things such as sell property (depending on what the grantor decides). Just like a special power of attorney, the authority diminishes if the grantor dies. An appointment of healthcare representative is a power of attorney form that grants power to the agent to make medical or health decisions on the grantor’s behalf. This is commonly used by individuals who are terminally ill, elderly, or have failing health. This form grants the agent power of attorney to handle all documents relating to the title and registration of the of the grantors vehicle. Officially known as Form LGL-001, this form grants a capable individual, usually a certified accountant or other qualified person, to prepare and submit tax forms on your behalf. Create a free Connecticut Power of Attorney in minutes with our professional document builder.